We sometimes take for granted how far mainstream movies have come over the last 20 or so years. The half-life of CG technology is now so swift that watching a film made just a single calendar year prior is like seeing some laughable, fusty relic of a bygone era. 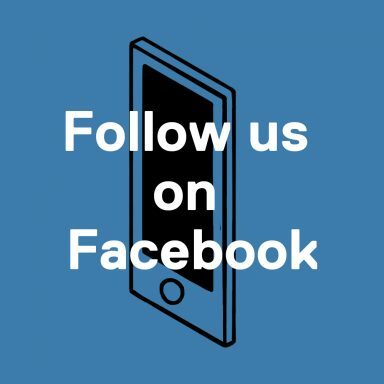 Old mainstream movies are the brick-sized carphones, the tube television-VCR combos, or the home perm kits – the objects we’d now only expect to see scattered across gaping landfills. A thirst for new, original cinematic spectacle has superseded a desire to contemplate the vast offerings available in the present, or even those from the very recent past. Call it the speed of cinema if you like – the rate at which images don’t just fade from our collective conscious, but die an embarrassing, public death. Seeing these movies on cinema screens is like seeing a model without make-up. All of which brings us to those high-kicking teen tearaways, the Power Rangers. 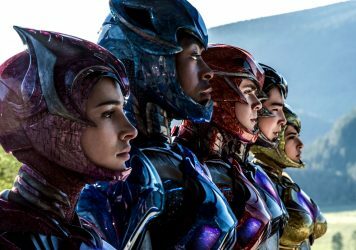 In case you’ve been living under a purple styrofoam rock for the past six months, you’ll know that a new, rebooted Power Rangers movie has thudded from the Hollywood production line. 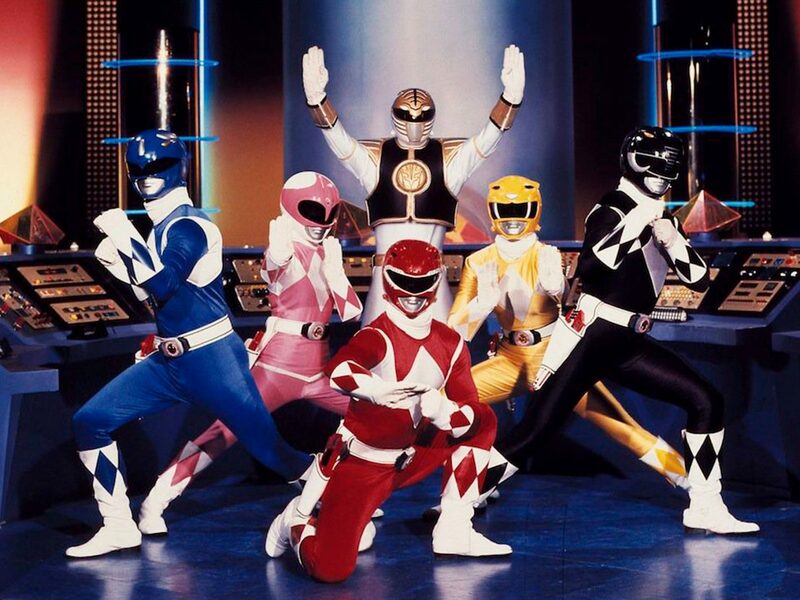 In anticipation of this glossy, family-friendly fight ’em up, we went back to the cinematic source material: 1995’s Mighty Morphin Power Rangers: The Movie from director Brian Spicer. The experience was breathtaking, in a good and a bad way. It now looks as if the film has arrived in a sealed capsule, sent from an uncharted solar system. It throws up some confounding pre-Y2K questions like, how did people reheat soup before microwaves, and, how did people make movies before computers could essentially do the job for them? It’s possible to see Spicer’s multicoloured dream opus as a transitional film. 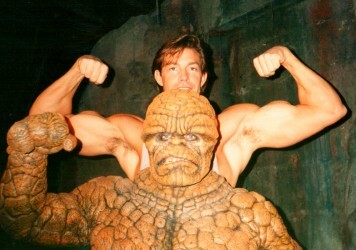 It almost signals the point where organic visual effects were no longer cutting the mustard, and the need for the grandness of scale ushered in by digital effects was to become the new norm. Angel Grove’s dead-eyed finest are charged with defeating an ancient entity called Ivan Ooze who, for some reason, has developed the pun-heavy patter of a daytime television quiz host. His arrival on Earth is signalled by the discovery of a giant egg on a building site which, once cracked, seeps out an oleaginous gel which transforms normal working folks into zombie-like drones. What’s fascinating is that the Power Rangers themselves are a vacuum of humanity. They don’t have personal interactions or any lives outside of their planet-protecting day jobs. It’s like their souls have been extracted from their ripped bodies and blasted into the sun. It’s strange because, with such an obvious dearth of resource, you’d half expect there to be more idle chatter to fill in the gaps. Even iconic klutz twosome Bulk and Skull are cast aside from the action after an early sketch in which they comically muff up a skydive. For the first half of the film, everything is tangible. 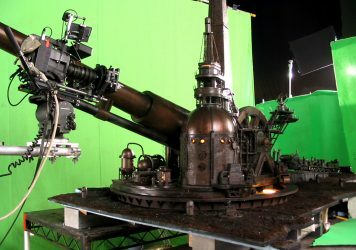 All props are physical objects, and the antagonist minions are decked out in real costumes rather than being scanned and replicated with the help of a computer. As crummy as some of the enemy fighters look – often as if they’ve escaped from the grounds of a failing ex-Soviet theme park – there’s something heartening about the idea that someone was charged with hacking at some plywood for an afternoon and it would eventually end up in a movie. A movie that made over $60m at the box office. The original Power Rangers in no way ascribes to any conventional definition of the term “good”, appearing as if it merely crushes together three or four of the better TV episodes and recycles all the classic catchphrases and music cues. But there is something about it that transcends simple binary readings of quality. The fact that you can see it was a film made by fallible humans who were massively limited in what they could achieve give it an almost heartbreaking edge. The folly has evolved into whimsy. And then to the film’s piece de resistance: a climactic showdown in animal-inspired robot mechs which allows for some very, very early computer graphics to be splatted onto the screen. A moment in which Ivan Ooze transports from the top of a towerblock and into the body of his own giant monster appears as if animators are pushing restricted technology to its very outer limits. A saturation of slick computer effects that can literally fool the eye – such as in Gareth Edwards’ Rogue One: A Star Wars Story and its digi-resurrection of a long-dead actor – leads audiences to forget the humble roots of this creative form. But the effects in the final reel of Mighty Morphin Power Rangers: The Movie have to be seen to be believed. Words lack the essential capacity to describe them. The passage of time has made the film feel like an avant garde work that almost acts as a commentary on the modern blockbuster. Maybe we’ll be saying the same about Kong: Skull Island in 2037?